An ever-increasing demand for visual information triggered the creation of ARINC 818. Early this century, aviation increasingly employed Infrared and other wavelength sensors, optical cameras, radar, flight recorders, map/chart systems, synthetic vision, image-fusion systems, head-up displays, head-down multifunction displays, video concentrators, and other subsystems. These enabled taxi and take-off assist, cargo loading, navigation, target tracking, collision avoidance, and other critical functions. 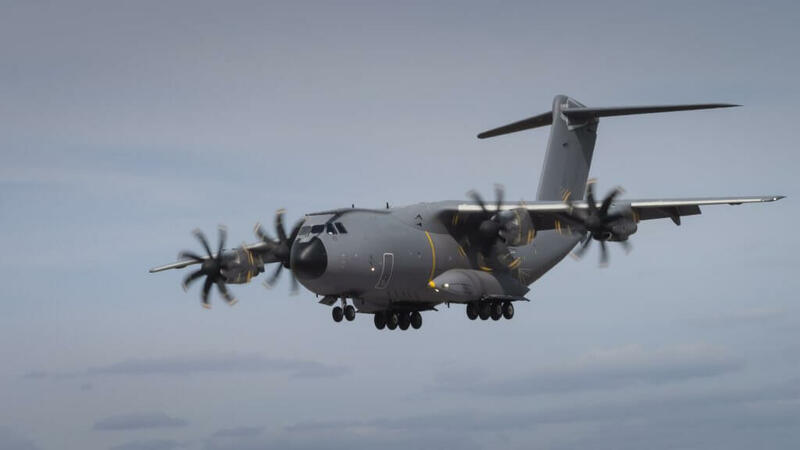 The A400M is among military and civilian programs employing ARINC 818. Fibre Channel Audio Video (FC-AV, defined in ANSI INCITS 356-2002) achieved a first step in meeting this demand. This protocol had the key benefit of low overhead, employing an 8-bit/10-bit (8b/10b) encoding system across copper or fiber at speeds of 1.0625 gigabits per second (Gb/s) and beyond. It employed a container system which described the partitioning of video frames. Typically, it was point-to-point and unidirectional. The protocol was used extensively in the F18 and C130-AMP. Despite its success in numerous programs, each implementation was unique. A system was needed to standardize high-speed video systems. In 2005, Airbus and Boeing initiated the effort to further capabilities for the new 787 and A400M programs, and a new standardization effort was initiated through the Digital Video Subcommittee of ARINC. Consolidation of many proprietary standards belonging to Honeywell, Rockwell Collins, Thales, and others became another major goal. The subcommittee drafted ARINC 818 Avionics Digital Video Bus, providing the high bandwidth needed for video systems and the precise timings for line synchronous displays. Fibre Channel remained the physical layer for the bus and also offered the advantages of routing and protocol capabilities found in modern networking protocols. FC also is deterministic with low latency. Finally, ARINC 818 included error detection. Initially it supported eight link rates from 1.0625 to 8.5 Gb/s. To ensure interoperability among components of the same system while at the same time, it governed each system with an interface control document (ICD). ARINC 818 was initially ratified in October of 2006 with great industry support. Since then, it has been used as the video transport protocol for cockpit displays on the Boeing 787, Airbus A350 and A400M, C-130 AMP, and the C-17, F15, F18 upgrade programs, and numerous other commercial and military aircraft. Compression and encryption: The initial protocol covered uncompressed data, but high-resolution sensors and sensitive data drove the need for compression and encryption. The algorithms involved are defined by the ICD, not detailed in the protocol. Switching: Instead of strictly maintaining a point-to-point philosophy, switching was implemented, provided it took place only between video frames–so-called smart switching. Channel bonding: By allowing multiple links to carry a single video frame, bandwidth could be effectively increased. Data-only links and bidirectional interfaces: These allow control paths, typically at a much lower link rate defined by the ICD. Partial imaging, tiling, and region-of-interest displays: Additional control made possible horizontal and vertical slices–and thus regions of interest. More robust CRC calculation: This corrected early implementation difficulties. ARINC Specification 818-2 (ARINC 818-2) formalized these innovations late in 2013. It also introduced six additional link speeds ranging from 5.0 to 28.05 Gb/s. These anticipate both the capacity of future FPGAs and the demand for even high-speed video and data transport for aviation. By spring of 2017, link speeds of 4.25 Gb/s were routine–with a three-fold increase imminent.